We travel a lot in the summer. This year we were supposed to take an epic 12-day road trip to Yellowstone and Zion, but life got in the way of us being able to go. However, I started preparing far in advance to make road travel with two kids as painless as possible. I already had some fun road trip binders filled with activities for the kids from past travels. However, if we are going on any trip longer than about four hours, I like to update their binders with something new and fun they haven’t already done. 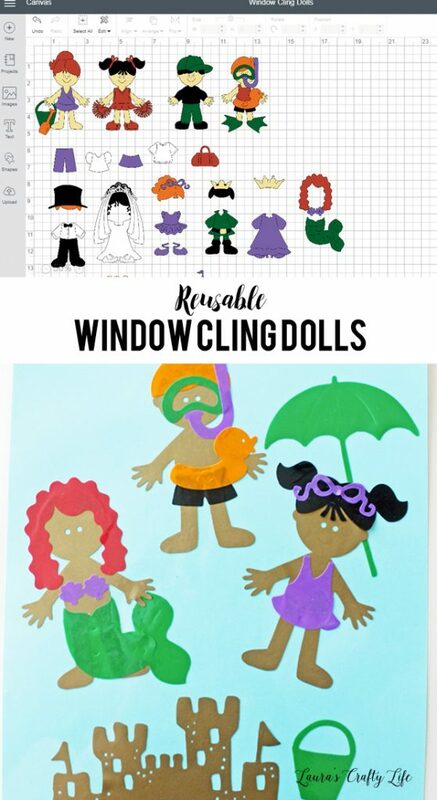 This time I decided to make a version of “paper dolls” with window cling so everything would stay together and my daughter could use them over and over again. This post contains affiliate links. Your cost is the same, but a portion of your purchase will go to support this site and help keep the content free. Please read my full disclosure policy here. 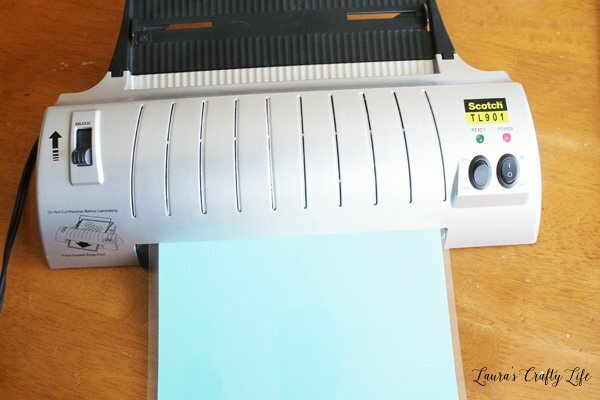 Thank you to Cricut for providing me with a machine and products for use in this post. 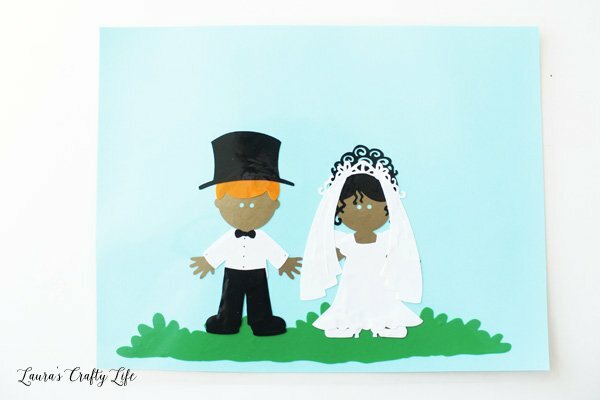 I have had the Cricut Everyday Paper Dolls cartridge since I have had my Cricut Expression so many years ago. 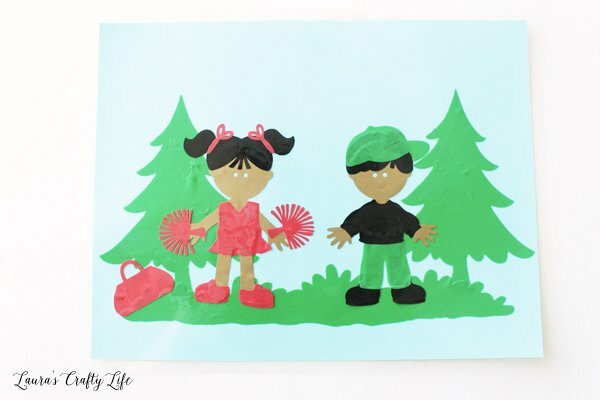 I wanted to make my daughter some cute paper dolls but never got around to it. When I was thinking of something to add to her road trip binder, I knew she loved the little plastic cling sets we have already in there. Add in the Cricut Window Cling and I had a project formulated in my head of what I wanted to make. Open Cricut Design Space and select New Project. On the left side click Images. Then, I searched for the paper dolls cartridge. Choose the Cartridges link next to the search box and then type in the word “doll”. 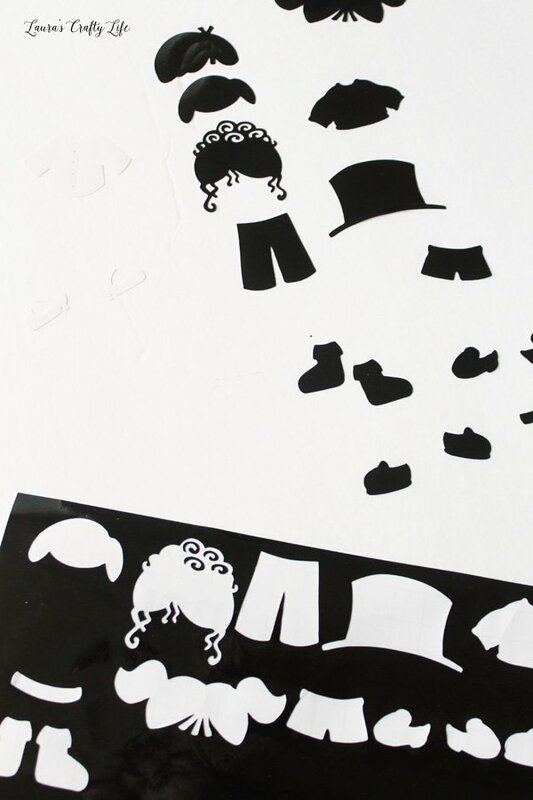 This will pull up both the Paper Dolls for Everyday and Paper Doll Dress Up. The cartridges have interchangeable dolls so you can use both for the same project. This will pull up both the Paper Dolls for Everyday and Paper Doll Dress Up. The cartridges have interchangeable dolls and pieces so you can use both for the same project. I started by selecting a few dolls I wanted to cut out. Once you have the images selected, click on the green Insert Images button. I chose some more little clothing and accessory items as well as some costumes. Note: I only wanted four actual dolls, so on the costumes, I deleted all the extra parts and pieces I didn’t want to cut out using the layers tab. Once I had my designs chosen, I clicked on the Color Sync at the top right. The window cling, unfortunately, doesn’t come in every color of the rainbow. I had white, black, gold, red, orange, green, and purple. So, I made sure that every element I was going to cut out would be in one of those colors. Using Color Sync makes this process really easy, as you just drag your items to the correct color. I made sure everything looked okay and then chose Select All. I wanted all the dolls and their clothes to be a little bigger, so I resized everything at once using the double arrows in the lower right corner of the selection box. 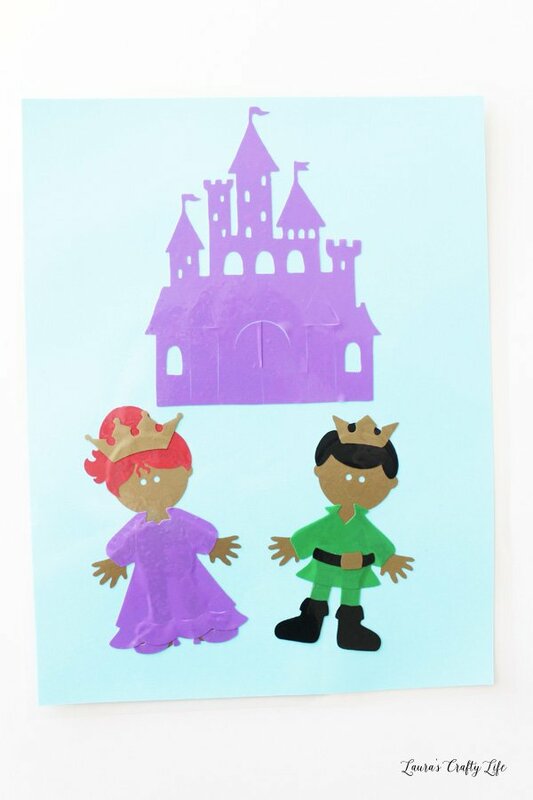 Now, I went back and found other background elements to add to my designs – grass, pine trees, a sand castle, and a princess castle. I sized each of these individually. Once you have everything ready to go, click the green Make It button. When you get to the cutting screen, be sure the Cricut Explore Smart Set Dial is set to custom. 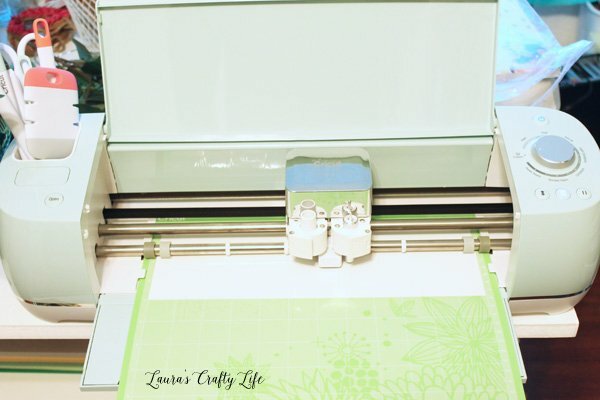 Click on Change Material on your screen and choose Window Cling – 0.2mm (Cricut) from the drop down menu. Make sure to load your window cling on the Standard Grip mat with the liner side down. 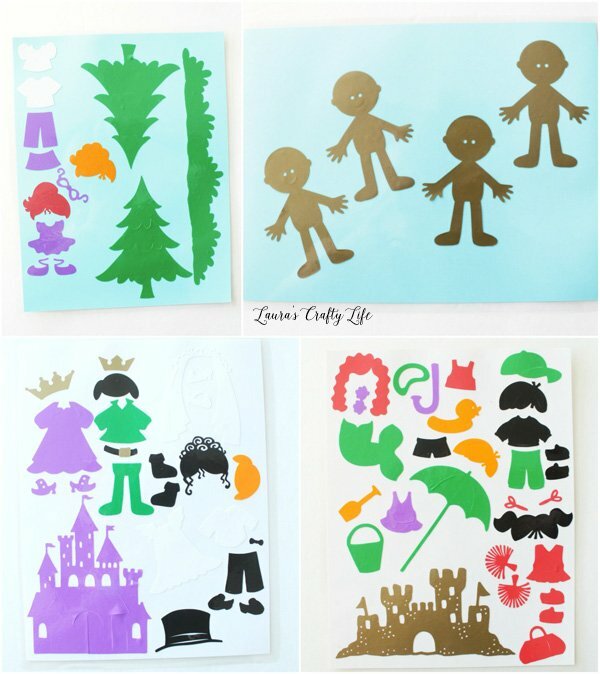 Cut out each color of window cling. Helpful tip: I use the guides on the screen that shows each of the mats ready for cutting to determine how big of a piece of window cling I need. I then cut this amount from the larger roll to place on my cutting mat. Weed the cut pieces of window cling from the liner. You can use the weeder tool to make this process easier for the intricate cuts. Since I wanted my daughter to be able to use the window clings in her road trip binder, I needed to place all the pieces on something that could be hole punched. I have a large box of page protectors I tried first, but since mine are the matte kind and not the shiny ones, the window cling wouldn’t stick. Instead, I took 8 1/2″ x 11″ solid cardstock sheets and used my laminator to cover them. Now my daughter can store them on the sheets and also use them to create her scenes wherever we go! 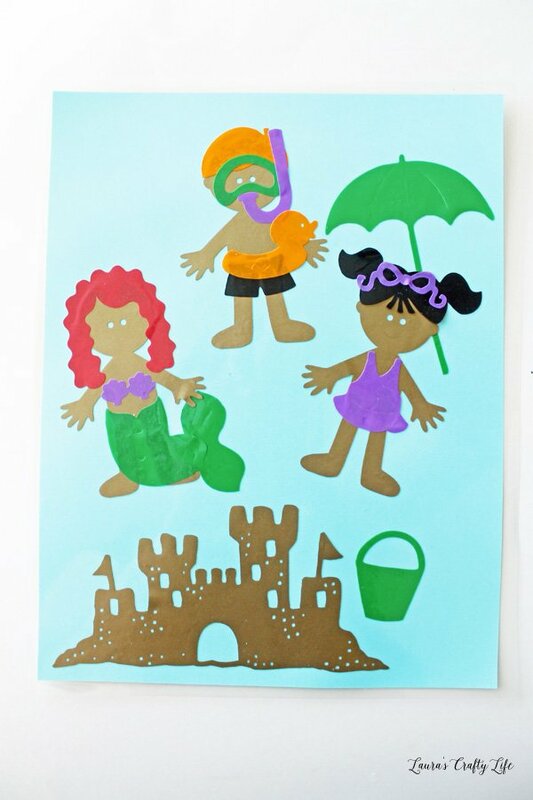 I made several scenes for her to choose from – a castle with a prince and princess; grass with a cheerleader and sports dude; the beach with a sand castle, mermaid, and snorkel; and a bride and groom. The great thing is that I can cut out more outfits and accessories anytime my daughter wants to add to her collection. This would be a great activity to take to a restaurant or anywhere else your child needs to play quietly in their own seat.